Deputy Ruler of Dubai Sheikh Maktoum bin Mohammed bin Rashid Al Maktoum attended on Monday the inauguration of the 3rd edition of ‘Knowledge Summit 2016’ organised by the Mohammed bin Rashid Al Maktoum Foundation (MBRF) under the theme: ‘Knowledge: Present and Future’. Chairman of MBRF Sheikh Ahmed bin Mohammed bin Rashid Al Maktoum also attended the Summit. Sheikh Maktoum bin Mohammed also honoured winners of the Mohammed Bin Rashid Al Maktoum Knowledge Award 2016. The $1 million (Dh3.67 million) Sheikh Mohammed Bin Rashid Al Maktoum Knowledge Award honours individuals or institutions that have made major contributions to the dissemination and transfer of knowledge globally. The award was shared by Bill and Melinda Gates Foundation; Arab Thought Foundation; and Masdar. 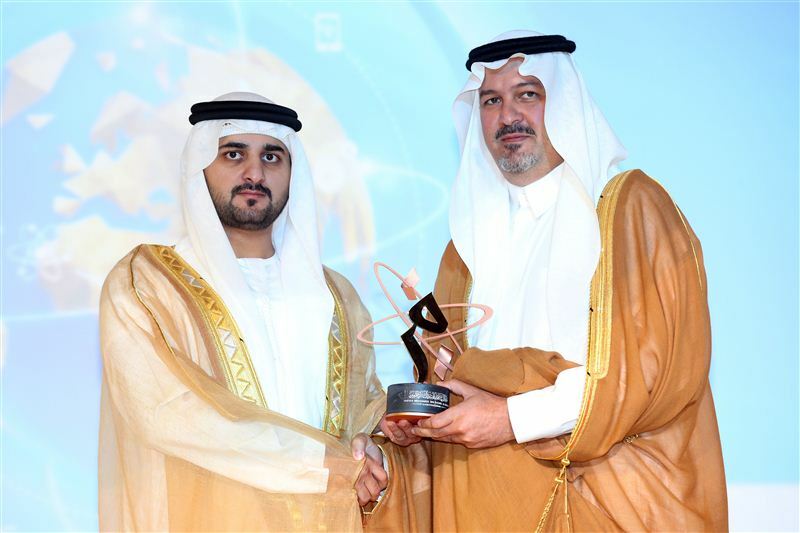 Dr. Sultan Ahmed Al Jaber, UAE Minister of State and Chairman of Masdar, accepted the award on behalf of the Abu Dhabi Future Energy Company. Delivering the keynote speech at the event, Managing Director of MBRF Jamal bin Huwaireb said that the Summit offers a knowledge platform that brings together experts from all over the world. He also highlighted the UAE’s latest initiatives that encouraged reading in Arab homes including the declaration of 2016 as the Year of Reading, the Arab Reading Challenge, and the launch of the National Reading Strategy 2026 among others. Bin Huwaireb also highlighted the new Arab Reading Index, a joint initiative of MBRF and the United Nations Development Programme (UNDP), which aims to assess the state of reading in the Arab world. Secretary-General of the United Nations Ban Ki-moon said in his video speech that knowledge is a key requirement for preparing for the future. Deputy Assistant Administrator and Deputy Regional Director for the Regional Bureau for Arab States in UNDP Sophie De Caen said that UNDP has actively partnered with MBRF to launch several initiatives including the Arab Knowledge Index and the recent Arab Reading Index. Former Australian prime minister Anthony John Abbott, in his speech, hailed the UAE’s progress and efforts in achieving harmony between different nationalities and cultures. General Manager of Al Arabiya TV Turki Aldakhil said that people in the region prefer electronic formats for reading rather than paper. The inaugural session was attended by Suhail bin Mohammed Faraj Faris Al Mazrouei, Minister of Energy; Hussain bin Ibrahim Al Hammadi, Minister of Education; Dr. Abdullah bin Mohammed Belhaif Al Nuaimi, Minister of Infrastructure Development; Mohammed bin Ahmed Al Bowardi, Minister of State for Defence Affairs; Jameela bint Salem Al Muhairi, Minister of State for Public Education; Dr. Ahmad bin Abdulla Humaid Belhoul AlFalasi, Minister of State for Higher Education; Dr. Sultan bin Ahmad Sultan Al Jaber, Minister of State; and a number of officials.